Been in a recent accident and in need of Toyota repairs? 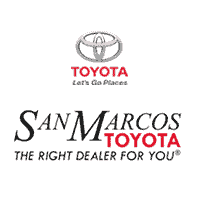 The San Marcos Toyota Collision Center team is here to help. From minor Toyota dent removal to extensive Toyota auto body repairs, our certified Toyota service techs will get your vehicle back in top shape in no time. Come by our Toyota dealership near Kyle, TX, for all your Toyota maintenance and repairs and find out how you can get a free Toyota auto body repair estimate! In today’s fast-paced world, setting aside the time for auto body repairs can sometimes be difficult. That’s why we offer a convenient and easy-to-use online Toyota collision estimator tool. Simply provide the year, make, model and mileage of your vehicle and describe the kinds of repairs needed, and we’ll get back to you with a free preliminary Toyota repairs estimate before you ever set foot in our Texas Toyota auto body shop. Once you’ve received your complimentary Toyota estimate, head over to the San Marcos Toyota Collision Center to let our skilled Toyota mechanics get to work on your vehicle. No matter if your vehicle needs a simple windshield replacement or more extensive Toyota auto body repairs, we’ll get your Toyota looking and driving like new before you leave our lot. For professional Toyota repairs and service you can count on, visit our Texas Toyota collision center. Contact San Marcos Toyota to find out more about how you can get a Toyota collision estimate!